The solar eclipse happens when the sun, moon, and earth are in a straight line. The Moon passes directly between the earth and sun blocking our view of the sun. A solar eclipse occurs during the daytime hours when the moon is new and the sun and moon are in the same sign, which in this instance is Scorpio. The New Moon/Solar Eclipse in Scorpio amplifies all normal New Moon effects so it will be an energy of powerful transformation. The only way to fully experience this is to shed your old skin. Read “skin” here as meaning old habits, ways of being and beliefs about the world, the reality that you live in. Just because you have always thought like this, acted like this does not mean that you should get stuck in thise pattern. Time to look at how you are and shed old patterns that no longer serve you. As within, so without. Change your perception and you will see similar congruent changes in the outer world. Struggling with an addiction to someone, something or obsessive trains of thought? Now would be a great time to release yourself from them and the planetary configuration would work harmoniously with you as that is the energy that it is carrying. You will probably be feeling the urge to do something a little unusual but may feel a little timid or worry what others will say. Worry not I say for the Universe will applaud you. Feel the fear and definitely do it anyway. The fact that this New Moon/Solar eclipse takes place in deep, powerful Scorpio will provide the fertile ground for your new beginnings. So it is an excellent time to plant those seeds of plans or ideas that have been held deep within you. 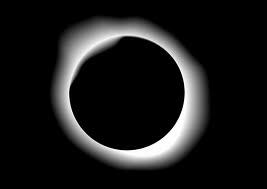 The Sun eclipse will boost them to be fruitful and see the light of day. Scorpio lies in the 8th house of the planetary zodiac. This house is all about transformation and death in the sense of transformation into a different kind of energy. Now this can mean a physical transition where the body, which no longer serves the soul is shed and the Soul energy transfers to a new form or an energy transformation for individuals as we are just that, forms of energy. You can change the type of energy that you transmit to the world and that would alter what is drawn to you and how it interacts with you. To change your life and the structure of your reality would give you a powerful lesson. Change frees people. It facilitates new growth into new forms. Energy never dies, it only transforms into new configurations..
Travel down deep into your own emotional depth, that part which is normally a no go zone for you and release toxic wasted emotions that have been fixed and manifested in automatic outdated behaviour patterns in your daily interactions. You could even do a little visualisation to add a sense of reality to it, to give the subconscious the instruction that things have changed. The plug has been pulled and the stuck, emotional residue has been flushed away and flowed deep into another plane, away from you, to be recycled into new postitve life affirming energy. You are left feeling cleansed and renewed with blank slate energy that you can use how you want to. Feel refreshed and energized and a little excite, oh yes, excited and optimistic. Just a tip. The planet of communication Mercury is retrograde and squaring the hazy illusionist Neptune exactly at this New Moon. Thoughts and communication lines will seem a little foggy and vague and you may feel yourself drifting off into side roads and fantasies but just fix yourself with an image of the Sun’s warm touch on your face, and you will remain aligned with the Light bearer. This entry was posted in Dreams, Language and The Unconscious, Magickal Workings, Reiki and Energy Work and tagged Magickal Working, meditation, Solar Eclipse, the unconscious. Bookmark the permalink.